* Version 0.6 is not backwards compatible with 0.5 so you should upgrade ASAP. * FT8Call has a new icon! * But, you don’t have to…you can communicate directly with a dialog using the same command: J1Y>HOWDY! * There’s a new “Relay via” menu item to make configuration of relays easier. * You will no longer automatically change to a new audio frequency offset when clicking on callsigns or responding to ALLCALLs. This is now a specific action you have to take in a right click menu. The only time FT8Call should change your audio offset is to BEACON to avoid QRM. * With that…beacons now are _forced_ to transmit between 500Hz and 1000Hz. This should further help with the QRM and busted QSOs. * Your station will no longer reply to ALLCALL? when you have a directed callsign selected. This should help prevent those automatic replies from busting your QSO. * You can now customize the transmit and receive text fonts and colors and the textbox background colors. * You can also configure a sound to be played on receipt of any directed message or alert message. * You can now customize your CQ message (default CQCQCQ). You can also send CQ QRP, CQ DX, and CQ TEST with your grid locator and compound callsign in one transmission frame. * You can copy and paste from the text boxes! * There’s a new QSY function on the waterfall to center your passband at a specific signal (and you can configure your rig’s center frequency, defaults to 1500Hz). * Sending of raw APRS packets now requires an APRS-IS passcode tied to your Amateur Radio Callsign. If you don’t have one of these, email me and I’ll generate one for you. * APRS packets now maintain a more throttled delivery into the APRS-IS network, so you should get fewer timeouts. * Squashed a ton of bugs! I hope you enjoy testing this new version! Almost all of these changes above came from feature requests from other operators. Your great idea could be next! Email me if there’s anything I can help with. 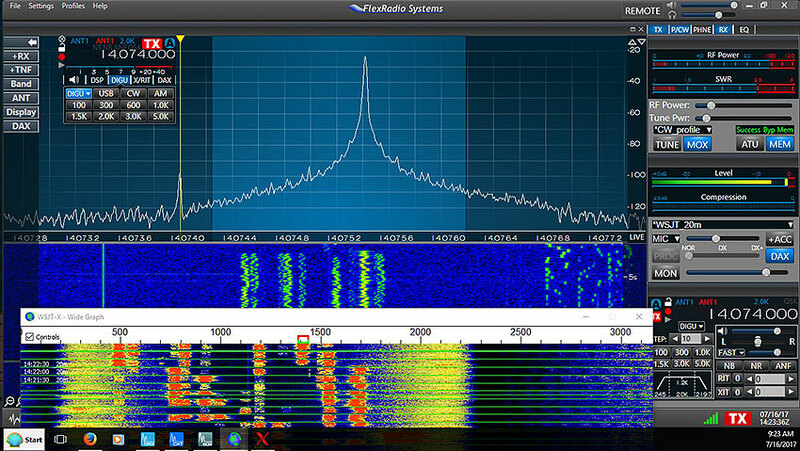 Looking to download FT8Call software? The below resources originate from the FT8Call mode creator Jordan / KN4CRD himself.